The composer / arranger / pianist Tadd Dameron wrote lovely, twisting melodies and arrangements, and his small groups have their own subtleties and depths. He has been gone for some decades, sadly, but a very gratifying six-horn tribute group, DAMERONIA, will be creating a special reunion evening at New York’s Jazz Standard to celebrate the ninetieth birthday of drummer Philly Joe Jones. Trumpeter Don Sickler will be leading an all-star band in a two-set event on July 16th. Sets will be at 7:30 and 9:30. Tickets are $20. In the early 1980s legendary drummer Philly Joe Jones came up with the idea of forming a band, which he called “Dameronia,” to pay tribute to his good friend, composer/arranger Tadd Dameron. The distinctive sounds of Dameron’s melodies, harmonies and arrangements can be heard on recordings of Billy Eckstine, Count Basie, Miles Davis, Fats Navarro and Dizzy Gillespie (among countless others). 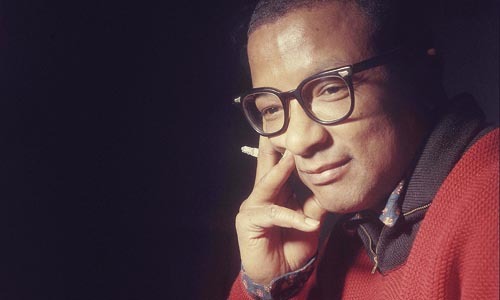 Jones wanted to contine the legacy of Dameron’s works, which included jazz standards like “If You Could See Me Now,” “Good Bait” and “Our Delight.” Philly Joe also wanted to promote other compositions and arrangements Tadd conceived for the bands Jones played in. Jones got Don Sickler working on putting together a book of arrangements modeled after Tadd’s 1953 nonet that Philly Joe had played in, alongside Clifford Brown, Gigi Gryce, Benny Golson and Cecil Payne, and “Dameronia” took shape. Dedicated to creating a historically accurate representation of Dameron’s music, the band recorded two albums (1982, 1983), including the well received “To Tadd With Love,” and played in numerous clubs, concert halls and festivals. “Dameronia” continued to perform even after Jones’ death in 1985, with the Kenny Washington on drums: in 1989 the band performed a special Paris Concert, documented on CD. 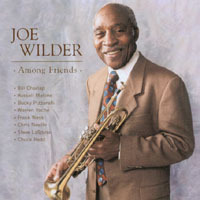 Jerry Dodgion – alto saxophone, flute (recorded with Tadd Dameron and Philly Joe on Tadd’s “Magic Touch” album); Grant Stewart – tenor saxophone; Gary Smulyan – baritone saxophone; Don Sickler – trumpet; Jeremy Pelt – trumpet; Robin Eubanks – trombone; Mike LeDonne – piano; Peter Washington – bass; Kenny Washington – drums. Tickets and more information here. Although he would have been astonished if you had told him he was in any way mysterious, Jack Teagarden is difficult to unravel. For one thing, Jack (or Big Tea or Mr. T.) was regarded as perhaps the finest trombonist of his time by musicians in and out of jazz: how about counting as your fans and colleagues Coleman Hawkins, Bing Crosby, Johnny Mercer, and Louis Armstrong? If you go by the rules or the expectations that lead people to create them, Jack should have sounded and played differently. A White musician of German ancestry born in Texas in 1904 could have been a trombone virtuoso, but one you would have expected to have come to jazz through the side door. Other White musicians heard their jazz from recordings of the ODJB or the NORK, but Jack seems to have been improvising at an astonishing level before he heard jazz in any “official” fashion. Teagarden astonished all the musicians who heard him uptown in 1927. And he kept astonishing them, including Bob Brookmeyer, until his death in 1964. Teagarden came up in a “hot” tradition, where you were supposed to raise the temperature of the dance band recording with your eight-bar bridge (safely hidden in the last minute of those grooves). And he was a superlative stimulus to musicians as secure in their own identies as Benny Goodman, Pee Wee Russell, and Bix Beiderbecke. But Teagarden never seemed to work hard: his playing and singing looked as if anyone could do it. Other musicians of his generation and beyond who sweated and strained dramatically got more attention and accolades. Because Jack had a half-dozen “hits,” he became identified early on with that narrow repertoire. He now often seems like a man imprisoned by BASIN STREET BLUES in front of a fairly well-behaved small group. How did he become Jack Teagarden? What was it like to be Jack Teagarden? A variety of scholars, including the late Richard M. Sudhalter, have nibbled away at these mysteries, but they are being taken up again by the young jazz scholar and trombonist Alex W. Rodriguez. And Alex will be sharing his insights at Rutgers University on Wednesday, April 21, 2010, during a “Jazz Research Roundtable” sponsored by the Institute of Jazz Studies: WHITE AND BLUE: THE JAZZ LEGACY OF JACK TEAGARDEN. The Roundtables have been going on since 1995, with many distinguished musicians and scholars as guests, including Gary Giddins, Stanley Crouch, Richard M. Sudhalter, Joe Wilder, Richard Wyands, Remo Palmier, Lawrence Lucie, Grachan Moncur III, Randy Sandke, Marty Napoleon, Larry Ridley, Nicki Parrott, and Kenny Washington. All programs are free and open to the public, and take place Wednesday evenings from 7:00 to 9:00 pm in the Dana Room, 4th floor, John Cotton Dana Library, Rutgers University, 185 University Ave., Newark, New Jersey. Refreshments will be served. For more information, call (973)353-5595. That fellow Rodriguez has a voice, doesn’t he? An encouraging sign in anyone, scholar, musician, or not.